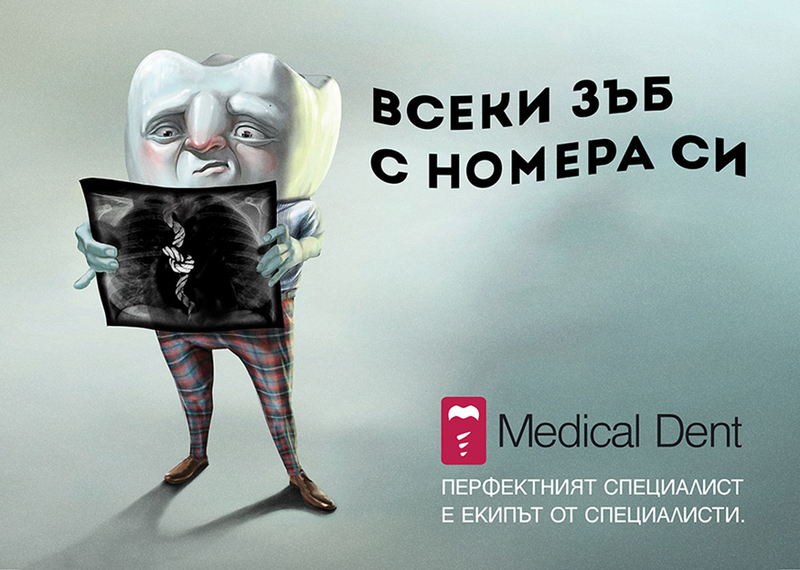 Medical Dent is one of the best dental clinics in Sofia that offers a wide range of services. 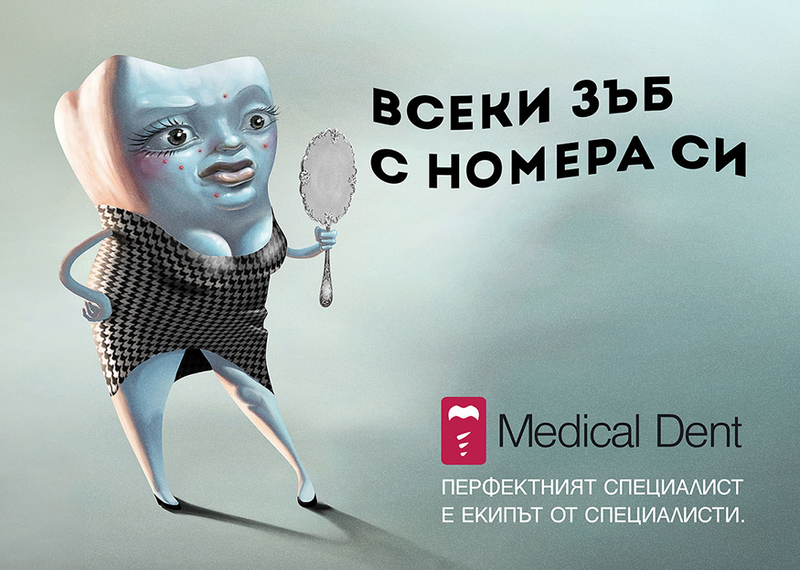 The clinic needed to communicate that everyone will find a solution for their problem – from treatment of caries tooth to placement of dental implants. The tooth is a complex organism with different problems. And there’s a different reason behind every toothache. 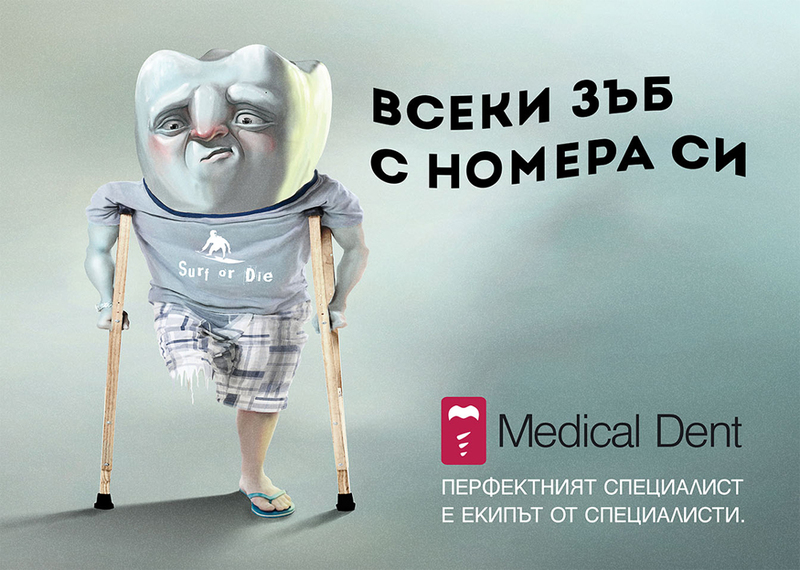 So every problem needs to be approached by a certain specialist and this is what Medical Dent offers. 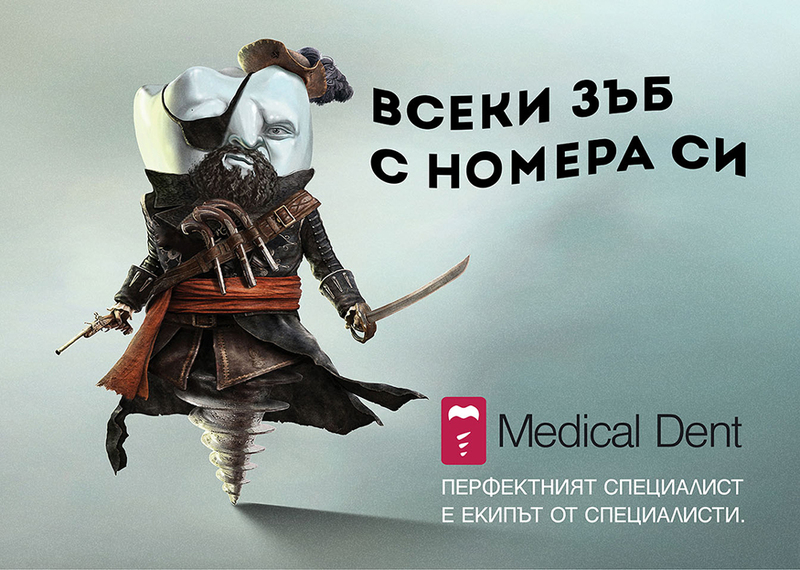 Every tooth is presented as a different character with a different problem – and there’s a specialist for which one of them in Medical Dent.